Allscripts Care Management is an electronic health record (EHR)-agnostic, cloud-based solution that helps organizations thrive in traditional payment models and value-based care initiatives, manage patients more effectively in the hospital setting, and ensure safe, timely transitions of care. Allscripts Care Management Reviews Recently Reviewed! Pros: The feature I liked most in using Allscripts was the ability to switch back and forth from one division to another of the company without having to log into another site. Cons: The worst part of Allscripts was having to sync the data at least twice daily and nothing being real time. Often during the syncing process something would go wrong and often documentation would be lost. Pros: There are ALOT of things you can do in this system. A lot of information can be found under patients and doctors, reports can be run for several different things. Cons: Because there are so many things to do in this system, it is easy to get lost or to navigate around. 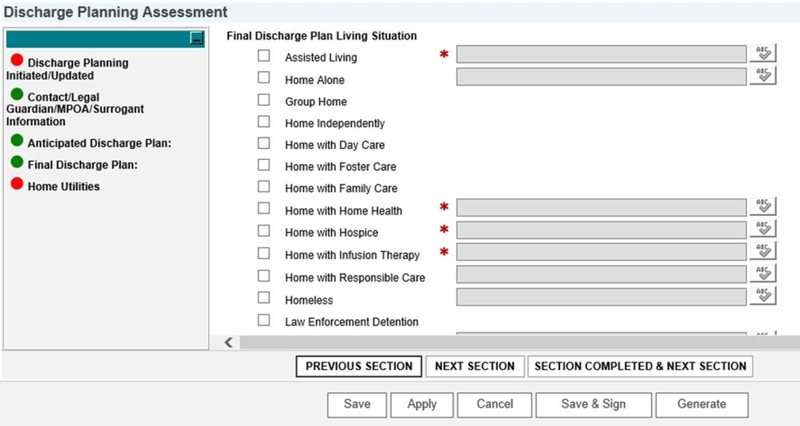 Overall: Great system to use in healthcare when keeping track of thousands of patients. Pros: You are able to go in and put notes on orders or visits. It is easy to go back and find the history of a patient. Pros: The great pro about Allscripts is that the software is HIPPA safe. This software is trustworthy in that aspect and alleviates daily pressures for doctors and nurses who use it. This aspect also benefits the patients in the same way. The overall functionality of the program works very well and takes the space and time out of large file systems. Cons: The biggest con of this software is the "status board" and its' lack of ability to automatically refresh. I may miss a critical piece of information due to forgetting to refresh the app. Another con presents itself in the software updates of the product. Frequent glitches usually always occurs in the event of a software update. Pros: I like all of my medical info being stored in one place. Cons: I wish I could add medications manually, and that requesting an appointment was in real time with open appointments available to choose from. Comments: I have been training staff on Netsmart/Allscripts for going about 5-6 years- was part of implementation team at one agency. Would NOT recommend. Cons: Synch time excessive -not intuitive-upgrade information comes at last minute and labor intensive- NOT easy to train new staff on. 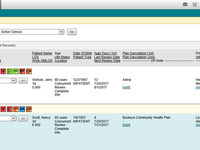 Pros: You can store any and all information about a patient into Netsmart. Good to use if you have hundreds of patients to keep track of, as well as Doctors too. It is very detailed and easy to use. Cons: Since it is so detailed, new users can easily get lost in Netsmart. Navigating may take awhile to learn. Cons: It was hard to use, did not recognize basic medical terminology, only allowed one person to access a case at a time. Pros: I liked that Netsmart is laid out so that you have to go in a certain order. It makes it a little easier to follow along. Cons: It's not the easiest to use right away. You definitely need to play around with it to get a good feel for it. Overall: My overall experience with Netsmart Homecare hasn't been terrible. It did take me a bit to get used to the funxtionality and the different quirks to it, but overall it has a fairly nice flow to it. Pros: It allows for ease of electronic contact, monitoring of reviews, and ordering. Cons: The learning curve, compared to other products. Overall: I hear from nursing colleagues, that they like to use this for efficiency. Overall: Save as you go along, I have lost all my notes several times already. Otherwise, it's neat the different things you can do without internet like the medication interaction checker. 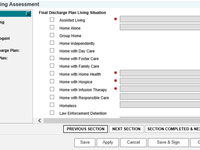 Comments: This software leads to over a 50% attrition rate for a home health care company I contracted with. The model is simple: give away a free version with an almost intentionally poorly designed interface that is completely counterintuitive and goes against the most basic principals of software interface design. Then charge for "tech support" for implementation. Then sell the data sets that are more valuable than the person's time who put them in. Pros: Not having to use it for more than 2 weeks. Cons: The completely counterintuitive interface. Recommendations to other buyers: Don't waste your time. Pros: There is nothing that I like about the software. There are much better options out there. Cons: Very difficult to use. Took too much time documenting visits. Had to go through several steps to do one thing. Overall: Horrible experience. I am glad I am no longer using the software. Comments: This software is well organized and easy to use. Has some functionality I wish would work better but mostly positives. Comments: This software is easy to learn and easy to use. use. We were on a DOS system and still use paper charts.